In today’s home kitchen, you’ll probably find more than one oven. Some are big, some are small. So what’s the difference? We look deeper into some of the most popular types in this article. Namely, the toaster oven vs. conventional oven. Back in the day, our parents and grandparents only had one kind of oven. This was the large one that was used to cook the turkey for Thanksgiving, as well as what they would use for baking cakes or other pastries. Times have changed though. And because people now have smaller homes and apartments, kitchen appliances also come in smaller variations. As an added bonus, their more compact size makes them easier to carry from one place to another. To be honest, I thought a conventional oven was the long-wished-for Christmas gift my eight-year-old self never received. I did come to find out later on though that what I had always wanted was an Easy-Bake Oven. In fact, it was actually a toaster oven that was the large device on our kitchen counter I used to see mom make my afternoon snacks with. At that young an age, toaster ovens looked really big. At that time, I had never seen the conventional oven in our kitchen being used. I actually thought that it was some nice looking cabinet underneath our gas range. Obviously, I now realize that a toaster oven and a conventional oven are not interchangeable descriptions. They may function similarly to a degree. But they’re totally different appliances. So what are the difference between a toaster oven and a conventional oven? First off, a toaster oven is much smaller than a conventional oven. The former usually sits on top of the kitchen counter while the latter is built into the kitchen itself, at least most of the time. Some conventional ovens also sit on the kitchen counter. However, they are big in size and often used for roasting entire birds, be it a chicken or turkey. Due to their size, a toaster oven cannot hold much food for cooking. They’re best used for toasting bread, cooking small pizzas or reheating food. These compact kitchen appliances often come with descriptions. Their specifications usually include size referencing to the number of toast or pizza slices that can fit it one heating. A popular size nowadays allow you to fit as much as two slices of pizza or four slices of toast. Smaller models will let you fit a slice of pizza and two pieces of bread for toasting. The size included dimensions, which helps illustrate the depth and width of the oven. Due to its small size, each toaster oven can vary in appearance. Some are simple in make and model. These basic models include just the oven door and settings. 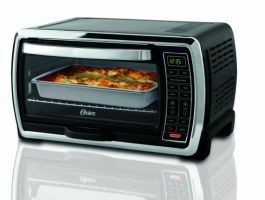 Meanwhile, other toaster ovens add in a toaster feature, from two to four slice slices, the ability to roast, bake and control the temperature of the mini oven. Also, due to its smaller size, a toaster oven would be more transferable. This makes it especially useful to the college student or the cook that moves around for his job. Size of the two appliances, in this case, makes a difference. While toaster ovens have a big advantage when it comes to being compact and portable, the large size of the conventional oven offers the ability to cook or bake more things. 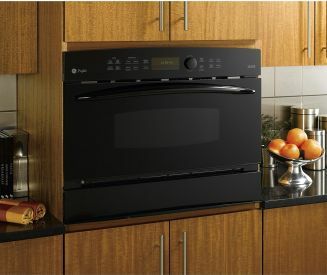 In addition, the larger frame of the conventional oven also allows it to have a more powerful heating element. This lets it reach much higher temperatures. And just as importantly, cook food for longer periods of time. So if you need quick reheating or only require simple cooking or toasting, the toaster oven works. However, for bigger jobs and looking cooking time, you’ll need a conventional oven to get the recipe right. It is also worth noting that in between these two types of ovens, there is a third kind, the convection oven. The main difference between a convection oven and the regular oven is its internal fan. The presence of the fan and exhaust system in a convection oven means it can cook faster and more evenly. This saves you time as well as eliminates hot and cold spots in the oven. It also saves you energy and lets you brown the food you’re cooking better. Essentially, it’s a better, more efficient oven. The fan works to circulate the hot air around the food. This system allows the food to cook more evenly temperature wise, and more quickly than if cooked in a regular oven. Statistically, a convection oven cooks food 25% faster. The thing with convection ovens is that they’re more expensive. The technology and extra components are the main factors for this. Another thing to understand is that the technology of convection ovens can be transferred to toaster ovens and conventional ovens. This is why you’ll see convection toaster ovens as well as larger convection ovens. Of the two toaster convection ovens are more popular because they’re relatively affordable. 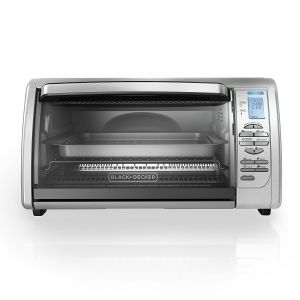 Plus, they offer a lot more features compared with regular toaster ovens. They not only cook faster and more evenly, they also come with a number of programmable features. Many allow you to cook entire chickens and pizza as well. The larger convection ovens though, are very expensive. So, you’ll only see them in high tech home kitchens or professional kitchens. While not ideal for cooking, a regular toaster oven is great for warming up foods like breads and various leftovers, especially slices of pizza. And while they are more energy efficient, they do take up some counter space. It is also worth noting that they do not cook food as evenly as the conventional or convection ovens. This is due to the close proximity of the appliance’s heating elements to the food. This closeness, coupled with the lack of a fan to circulate and ventilate the heat causes a bigger chance of burning and overcooking of the food on one side of the plate. The conventional oven on the other hand, does a better job at this. Not only is it able to reach higher temperatures, it cooks more evenly. You can also leave it to cook for hours which is something that isn’t recommended with toaster ovens. Conventional ovens are great in cooking food because they don’t dry out food. This is why restaurants use them for steaks as well chicken and pork. Doing so, keep the meat moist. 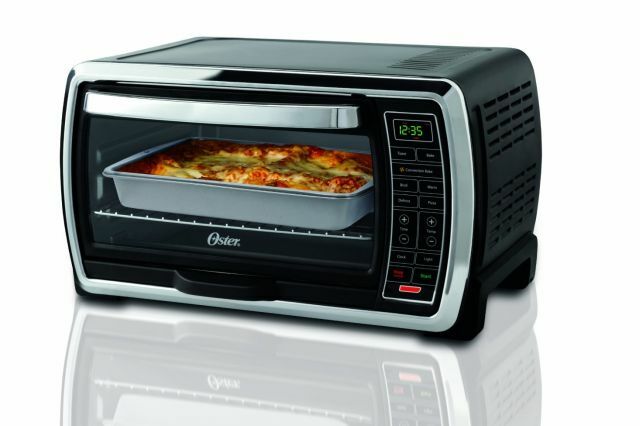 As mentioned, a convection type oven of either the toaster or conventional oven works even better. The convection oven is notably helpful in keeping your meat’s juices. It also does an excellent job for baking as it lets you make sweet goodies faster. When using a convection oven it is recommended that the cook reduce the recipe’s temperature by 20-25 degrees Fahrenheit as well as reducing the cook time by 5 minutes, if the instructions are for use with a regular oven. This is unless the overall cook time called for less than 15 minutes to begin with. It is also recommended that the food is checked more frequently than if cooked in a regular oven. In comparison to a regular oven. Speaking of regular ovens, a convection oven usually has settings that allow it to function as either a convection oven or a regular oven. I think this is one of its best advantages. This way you can switch between them when needed. How do you know when it is appropriate to use each setting? One blogger recommends that the convection oven settings should be used for roasting, toasting, dehydrating, baking pastries, and any food that is covered when cooked. At other times, use the conventional oven mode.